Elephant bulls can be very aggressive when they are in musth (i.e. ready to mate) and one must keep a safe distance from them. But how do you know that you are dealing with an elephant bull in musth? Firstly one needs to know whether it is indeed a bull! 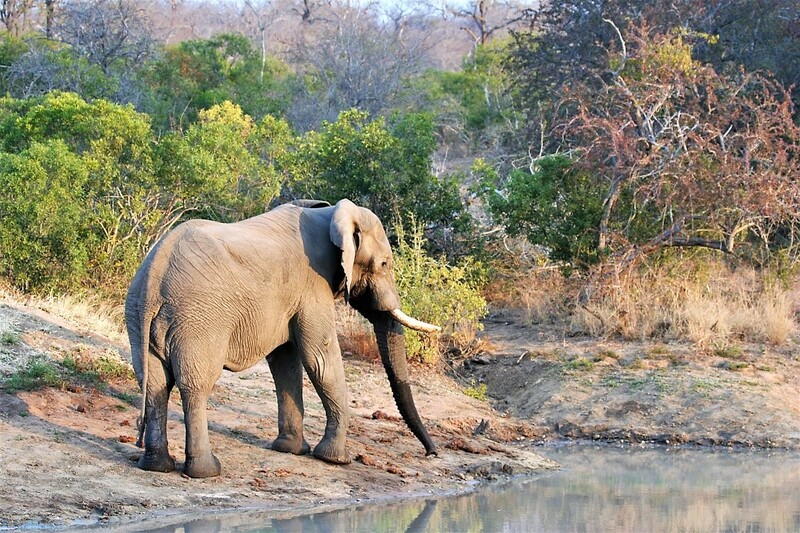 With some practice it is easy to differentiate an elephant bull from a female (cow). 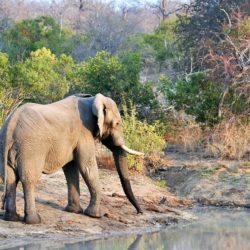 Apart from the obvious differences – male elephants are bigger and they are usually alone or in small groups, while females live in large breeding herds – elephant bulls have rounded foreheads while females have angular foreheads. Bulls also have a straighter back than females. Musth in an elephant bull can be detected from a constant dribble of strong smelling urine wetting the inside of the back legs. Secondly, both bulls and cows have a gland on both sides of their head, roughly level with the eyes, that can secrete fluid that looks like “tears” from a distance. 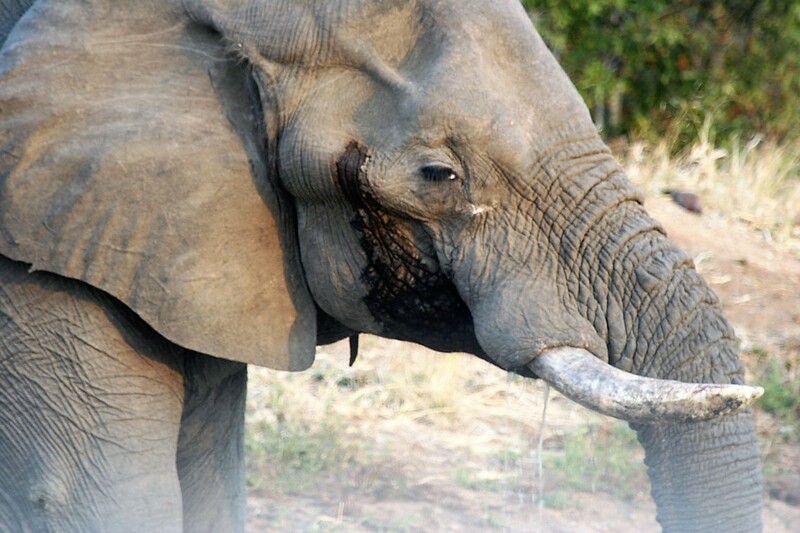 Testosterone-charged bulls in musth will secrete large amounts of fluid from these glands. 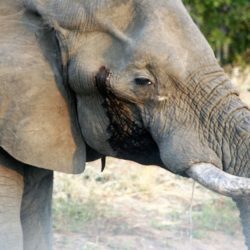 Female elephants may also discharge fluid from the temporal gland but this means they are under stress (which often coincides with a bull in musth following the herd).